Wednesday 1st April sees the launch event for Digital Folk – our two-year research project that examines the ways in which folk arts practitioners and participants use digital networks and resources. 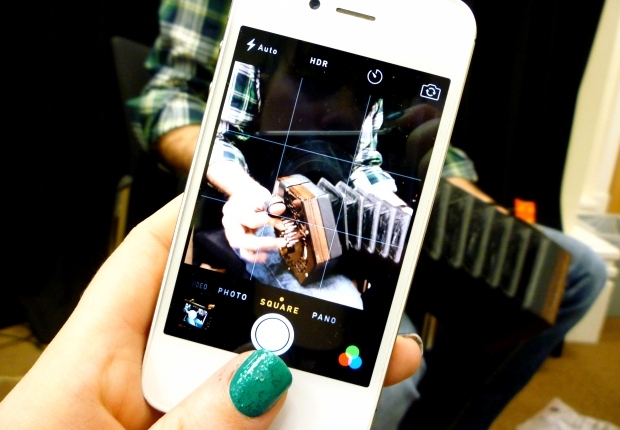 Are you a folk artist (such as a musician, dancer, or crafter) based in England, using digital networks, tools and resources? Are you curious about the potential impacts that digital technology is having on folk traditions? Or perhaps you make and share creative things digitally and are interested in how this forms a new kind of folk culture – a culture made by everyday people? If you answer ‘yes’ to any of these questions, then we’d like to meet and hear from you: come along to this free event, and find out more about the research we’re doing, and how you can take part. As well as an introduction to the project, you will have the opportunity to hear from various professionals from the – now frequently converging – worlds of folk arts and digital media/technology. You’ll also have the opportunity to take part in an innovative workshop, to help us better understand how and why digital technology is changing the way people participate in folk arts, and to share in a discussion about the possibilities for the future. The launch is at the University of Westminster’s building at 309 Regent Street, in central London, two minutes’ walk from Oxford Circus tube. The day of talks, workshops and discussion runs from 11.00 to 4.00pm. The event is free, and includes free refreshments and lunch. The project is funded by the Arts and Humanities Research Council, and is a collaboration between the University of Sheffield and the University of Westminster. See also: further information about the project. Is this you? Thought I’d get in touch having just seen this… In 2011 I set up Front Room Folk via Meetup which grew into an amazing network. Phil Alexander, a phenomenal accordion player and a PhD student at SOAS, wrote a paper about it, “Brighton Front Room Folk and the Virtual Session” which was about how our group made inclusion easier than tradition sessions. We killed Front Room Folk as a Meetup Group because it simply got too unweildily large, but it continues as frontroomfolk.org.uk. Now do a weekly session which is organised as a Facebook group. Some of us then created a splinter secondary, Brighton Ceilidh Collective as a meetup group here: http://www.meetup.com/therant/. We do a monthly ceilidh and it’s always rammed. Not very Smash Hits, I know… but you get the picture. Hello! Thank you very much for this, very interesting, we will check it all out. Might we be able to get a copy of Phil Alexander’s article? I found an abstract for it within this PDF, but not the whole thing. Many thanks for getting in touch and I might have to ask you for more on this sometime!